Why does multiprocessing use only a single core after I import numpy? I am not sure whether this counts more as an OS issue, but I thought I would ask here in case anyone has some insight from the Python end of things. I've been trying to parallelise a CPU-heavy for loop using joblib, but I find that instead of each worker process being assigned to a different core, I end up with all of them being assigned to the same core and no performance gain. 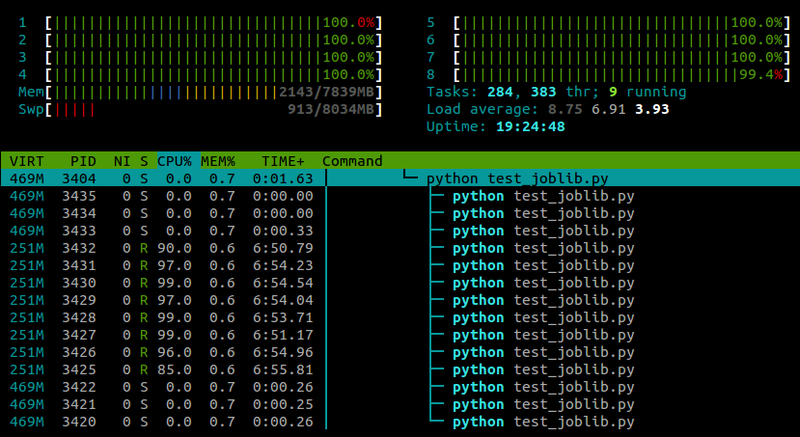 I'm running Ubuntu 12.10 (3.5.0-26) on a laptop with 4 cores. Clearly joblib.Parallel is spawning separate processes for the different workers, but is there any way that I can make these processes execute on different cores? After some more googling I found the answer here. It turns out that certain Python modules (numpy, scipy, tables, pandas, skimage...) mess with core affinity on import. As far as I can tell, this problem seems to be specifically caused by them linking against multithreaded OpenBLAS libraries. My experience so far has been that this doesn't seem to have any negative effect on numpy's performance, although this is probably machine- and task-specific . I would suggest experimenting with CPU affinity (taskset). Not the answer you're looking for? 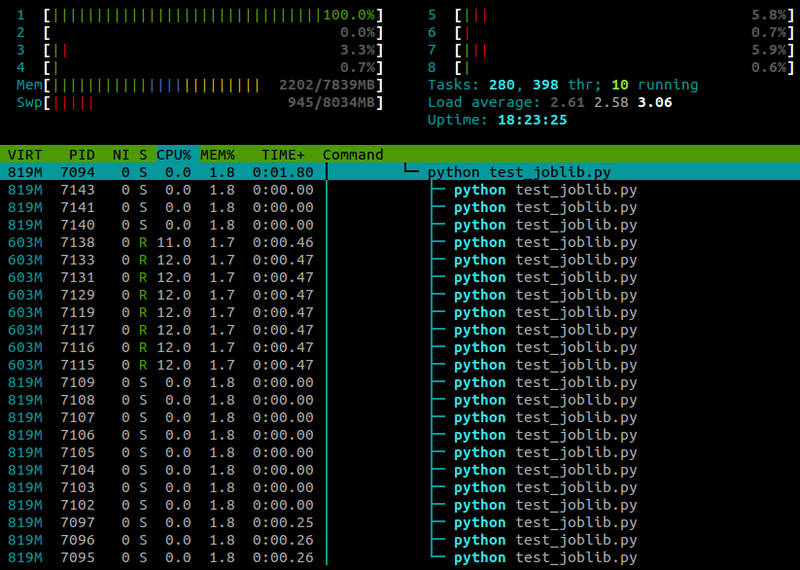 Browse other questions tagged python linux numpy multiprocessing blas or ask your own question. What does -1 mean in numpy reshape? Celery: why does its distributed tasks run slower than multiprocessing? Why does this parallel search and replace does not use 100% of CPU?